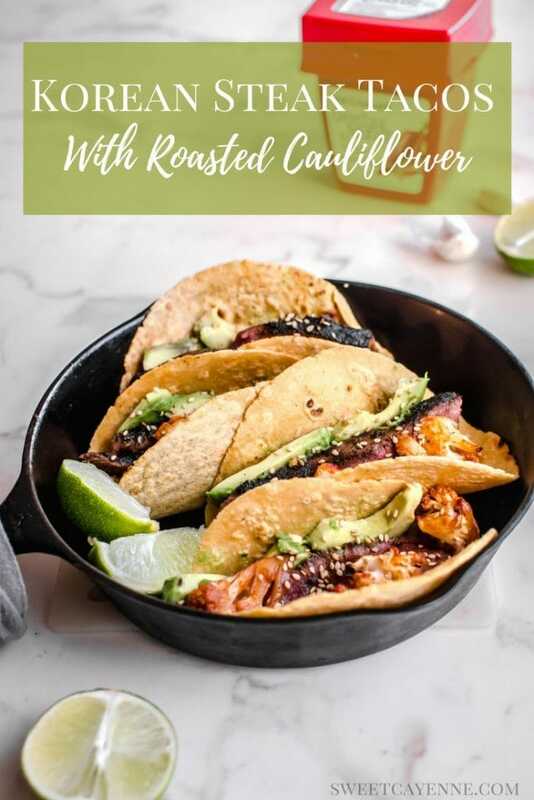 These delicious Korean-style tacos are filled with juicy steak and roasted cauliflower that are tossed in a spicy sweet gochujang sauce that you will love! Ryan and I have recently been very interested in learning more about Korean cuisine and cooking techniques – as it seems a lot of other foodies are as well! There is a fantastic Korean BBQ restaurant where we live that serves very delicious and authentic Korean-style steak and bibimbap. They way it works is, you order the type of beef you’d like to have and the waitress brings it to your table to cook on a grill that’s built into the tabletop. Once the meat is cooked, you are served lots of little side dishes – called banchans – that go alongside the beef. These little sides feature lots of pickled or fermented vegetables, and some dipping sauces too. It’s a feast of flavor, texture, and color to be sure! Every little dish tastes so delicious with the meat, and all of the items work together to complement each other. It reminds me a lot of the Italian antipasti-style meal, and I have to say I’m a big fan! As the story usually goes, we came away from our Korean BBQ feast with a burning desire to imitate some of the amazing flavors in our own weeknight meal rotation. When it comes to stocking your pantry with items that are essential for Korean-style flavor, you could go crazy and go all out. 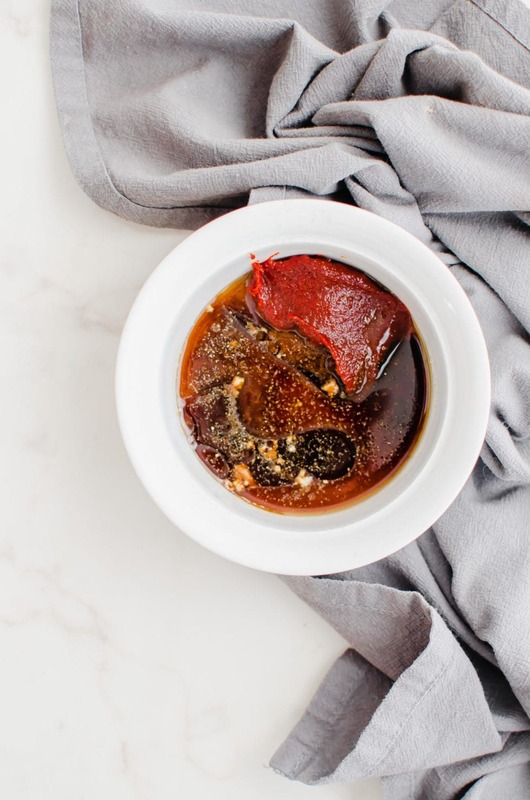 There’s three types of “jang” involved – ganjang (a soy sauce), doenjang (a soybean paste), and gochujang (a chili paste) – as well as a few unique spices and fermented products you are likely to only find at an Asian market. Not too bad, right?? So let’s get to the recipe! 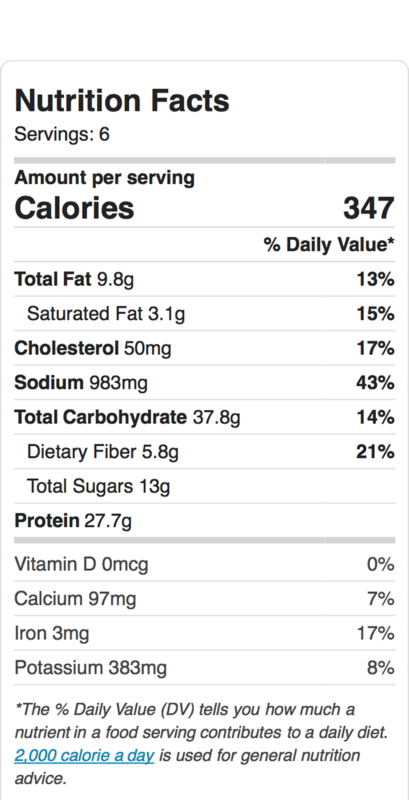 For flank or skirt steak: use 1 1/2 – 2 pounds of meat, and increase the marinade time to 8-12 hours. For the slow cooker: use a 2-3 pound rump or chuck roast. Double the marinade recipe, reserving 1/4 cup for roasting the cauliflower. Add 1 1/2 cups of water or beef stock to the marinade with the roast in the slow cooker. Cook on low for 6-8 hours or until the meat is tender and shreds easily with a fork. Freeze half of the meat for another week, if you like, or double the amount of cauliflower you make for leftovers later in the week! For the Instant Pot: use a 2-3 pound rump or chuck roast and cut it into 2-inch chunks. Double the marinade recipe, reserving 1/4 cup for roasting the cauliflower. Add the beef chunks, marinade, and 1/2 cup of water to the Instant Pot. Cook on manual high pressure for 40 minutes, allowing for a 10-minute natural pressure release. Freeze half of the meat for another week, if you like, or double the amount of cauliflower you make for leftovers later in the week! 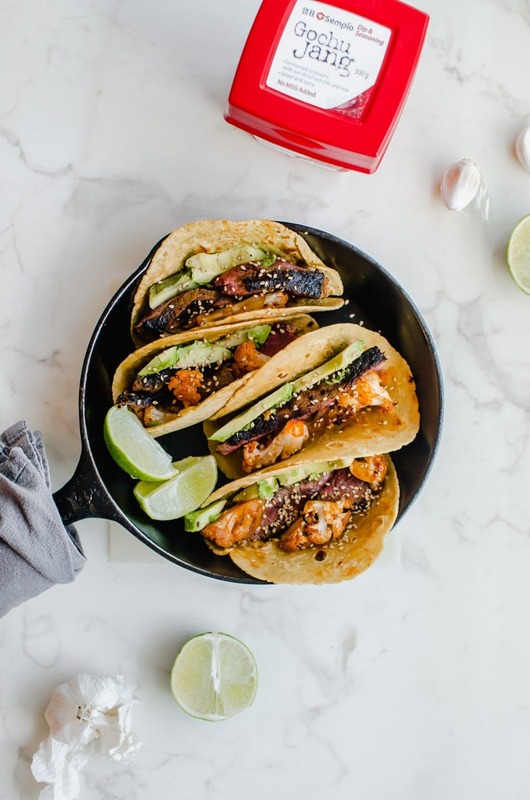 Are you ready to get make these Korean-Style Tacos with Roasted Cauliflower? Good! I’m so excited for you to try this recipe. Once you get the chance to make it, please let me know how it turns out for you! Leave a comment and rate the recipe below. This will help me with the creation of future recipes! I’d also love to feature your creation in my monthly newsletter, so you can upload a photo to Instagram or Twitter with the tag @sweetcayenne5 to be featured! Combine all ingredients for the sauce in a small bowl and whisk until smooth. Reserve ¼ cup of the sauce for the cauliflower and refrigerate until ready to use. Place the steak in a container with a lid. Cover the steak in the marinade. Let sit in the refrigerator for a minimum of 30 minutes and up to 2 hours. Preheat oven to 450℉. Line a baking sheet with parchment paper. Place the cauliflower florets on the sheet. Add the reserved ¼ cup of sauce to the florets and toss to combine. Roast for 25 minutes or until tender, stirring halfway through the cooking time. While the cauliflower roasts, preheat a cast iron skillet over medium heat. Remove steak from marinade and dab with a paper towel to dry. Sprinkle both sides with salt and pepper. Add 2 tablespoons of oil to the skillet. Cook the steak for 5-6 minutes on each side, rotating the steak in the pan every few minutes, for medium doneness, or until a thermometer inserted into the center reads 135℉. Remove from skillet and let rest for 5-10 minutes before slicing thinly. You can also grill the steak, if desired! 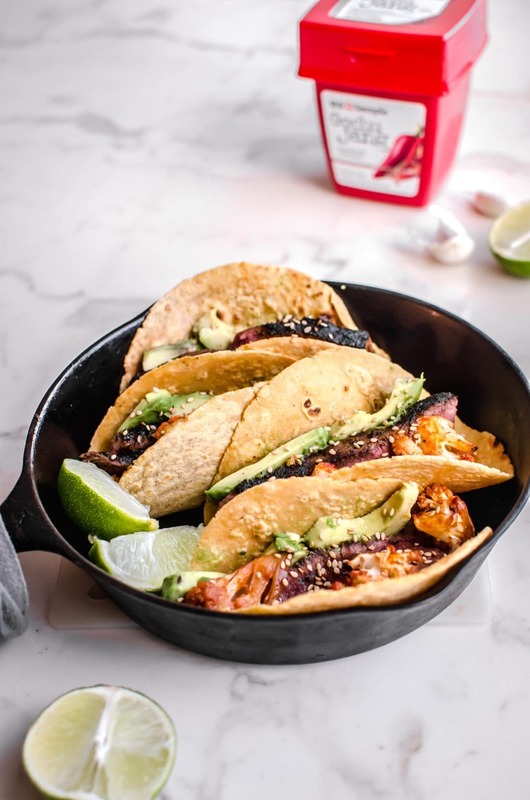 While the steak cooks, warm the tortillas in a small skillet over medium-low heat for 1 minute per side. Keep the tortillas warm wrapped in foil. 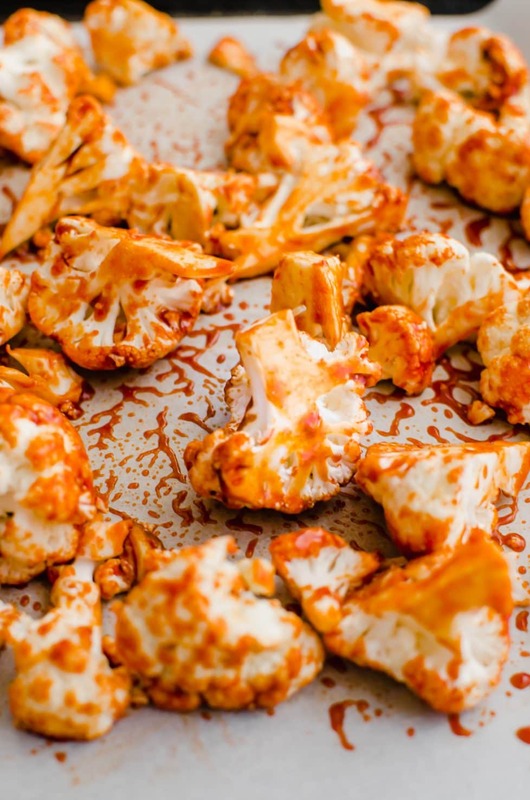 Remove cauliflower from oven once tender and cover with foil until you are ready to serve. Serve the sliced steak in the warm tortillas. Top with cauliflower (or serve as a side! ), avocado, sesame seeds, and/or kimchi!